I rented this place for a short adult getaway. The rental was in excellent condition and extremely clean. The property management was extremely helpful in the process answering the many questions I had. The price was very affordable and although the location was a bit further from Duval, the scooters we rented made it easy. We loved the space and the fact that it was right next door to to Cruisin Tikis Key West. The area was very quiet and the pool access from our rental unit was perfect! Our group would definitely stay here again on a future trip!! Nice place with a great patio and view. 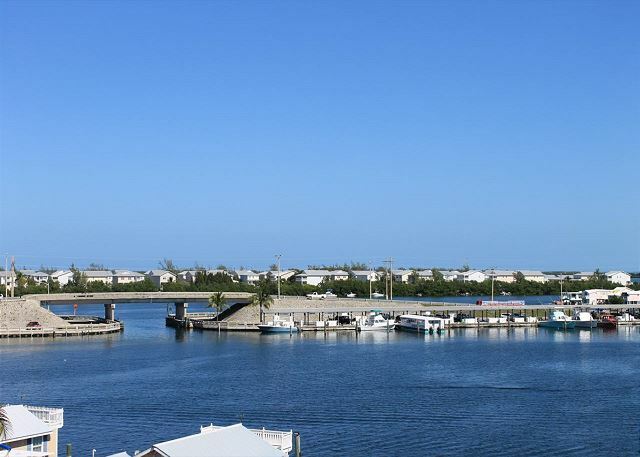 Located several blocks away from the hustle and bustle of Duval but centrally located to the entire island. Cafe Mellow is just right around the corner and has great tacos. Well, you can't control the weather, but the condo was very nice. We've been staying at Pelican Landing for several years. We were happy to see that the Irma storm did minimal damage to the condo. We will be back next year! Rental was easy through Good communication with the property managers. Very helpful with vacation planning. Property was nice and clean. 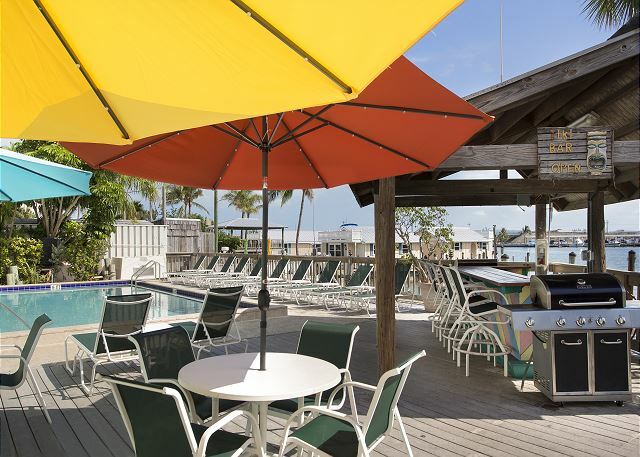 Convenient to bike or drive to Key West hotspots. The condo, Pelican Landing Harbor Island Retreat was perfect. It was clean and well maintained as well as in a perfect location. Great accommodation, boat slip,weather was perfect. 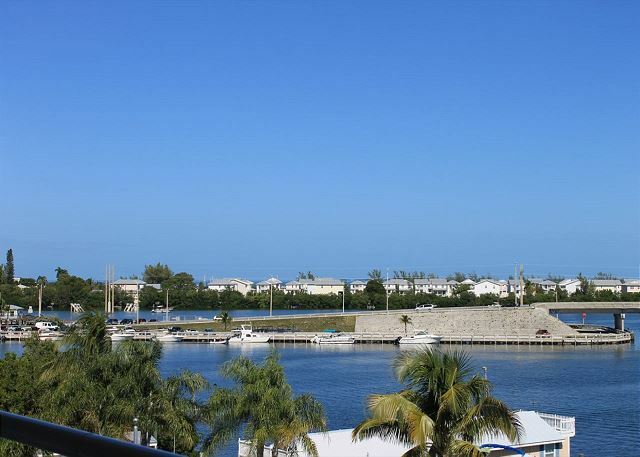 Great condo with a great view of the harbor! Easy drive or bike ride to duval street and other popular areas. It is a little bit far if you plan on walking (around 25-30 mins). Would definitely stay here again! This place was perfect for our trip. The balcony over looking the water is beautiful with a constant breeze. The location was just a few minutes from everything. We'll be staying here again. Key West Vacation folks really great to work with. David M from Jupiter, FL does not recommend this vacation rental. This condo was perfect for our group of 4. Nicely decorated and the kitchen was fully furnished. We enjoyed the view of the docks from our balcony as there was always a nice breeze. The condo was not within walking distance of the action on Duval but we rented a golf cart during our stay. It would be an easy bike ride to Duval. We liked that this condo complex is nice and quiet without the loud partying going on. We will stay here again. Love this place i could live there! Great location very comfortable! and very convenient for boaters! I will be back for more!!! Felt like an upscale very roomy condo with a full kitchen that was well appointed. We enjoyed sunning on the deck while overlooking the marina. We felt at home and really enjoyed the four day stay there. Great WiFi signal too! Loved staying here! Office staff was friendly and super helpful! 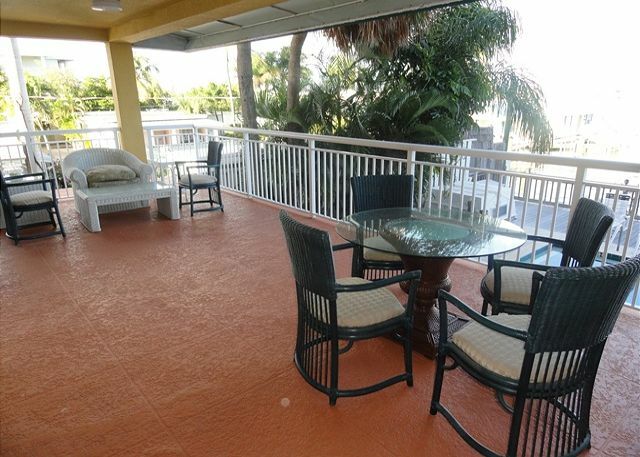 We loved the amount of space in the condo, the large balcony with great view of the bay, and the heated pool! The beds were super comfy and the kitchen was updated. The bathrooms are small and not as updated but who really cares about that! We rented bikes to get around which was perfect. Indiana Family had a Blast! We loved this condo. Very roomy! Comfortable couch and beds. We had a king bed and sliding doors to the porch. Our girls had two full sized beds and their own bathroom. They had their own door that we made sure to keep locked. I'm guessing they can rent out just this room if needed. The kitchen was fully equipped and modern. Stackable laundry next to kitchen. Beach towels also supplied. We loved the porch. Very large. Table and two upright chairs, one comfy Wicker chair. It would have been nice to have more patio furniture on porch. The pool and tiki bar and lounge chairs where very nice. We did not use the pier but fun to hang out laying out late in the day. The building shades the pool after noon-1pm. So if you want sun you have to go out on pier. My biggest complaint was the floors get really really dirty. After one day of walking barefoot your feet were black. I worse socks the whole time. There was a note telling us to keep the sliding glass doors shut due to diesel fumes coming in and making the floors dirty. There are many chapter boats across the water. The traffic on the bridge is a little distracting but not horrible. We loved having the first floor condo and our own door to the stairs leading to pool. Very convenient! The condo Parking was easy and lots of room. You can walk to several places including Duval street. But it's not a short walk. I would stay here again. The staff were very friendly and pleasant . Stated at Pekican Landing numerous times and this unit was my favorite! Loved the updated interior of this condo. Each condo is individually owned and maintained, which affects the interiors. We've stayed with Pelican Landing previously in the Penthouse Suites. Due to unavailability, we reserved two smaller units this year. Both units were clean, comfortable and met our expectations. Beds were extremely soft - very comfortable. Would like to have more seating available on the balcony, but we brought folding chairs for the event we were attending and used them. Air conditioning worked perfectly. Staff was very accommodating. Last year, we hiked to Duval (quite the walk! ), but even with our athletic group, we opted for driving and paying for parking by the square. (You can find lots available for $15/day or $4/hour on busy weekends) We grilled out on the gas grill by the pool one evening. We also utilized the boat slip which was well maintained. This particular unit has a separate staircase that walks out to the pool, which was nice for our large group. It is a bottom unit, which enabled us to sit on the balcony and while watching our younger (11-12 yo) boys play. Parking is typically an issue with our Denali XL in this TIGHT lot, but if you can maneuver well, you can make it work. My husband parked it between several large trucks with a few "back & forths". The area is very safe. The past two years, we've left our kayaks by our boat and no one messed with them. Construction around the area is complete. Far enough away from the tourist noise, but close enough to enjoy it as well. We will be coming back next year! The condo was neat and clean. The views of sunrise were beautiful. We even got to watch the manatees from the dock. The pool was great we perfect temperatures.The condo could have used some upgrades with the kitchen gadgets (knifes were a poor selection). The air conditioning ran constantly and probably needs a tune up. The condo is in walking distance of Duval . The gal who checked us in could have been a bit more friendly and should have greeted us with enthusiasm but she was either preoccupied or wasn't trained in customer service. We would return for another visit with any of the condos here. We were a group of 15 family members celebration my 50th birthday. The Harbor Island room was great. Slept better in this bed then in my bed at home! Very clean and had all the household items we needed. pool was very clean. Loved this place, except for the noisy pool filter. Loved this place except for the noisy pool filter which made using the lanai/deck not very enjoyable. Lot of money do not be able to use the lanai. The place was clean, roomy, and comfy and the office people were very helpful. We like the location away from the fray and the office arranged to have rental bikes delivered which we really enjoyed using to get the mile to town and to tour the town and neighborhood. Been coming to the Pelican since 1988 and come every year for the boat races.....love this place and have never stayed anywhere else...great place to have a party and we do every year with about 70 people. When good times go bad. Me and some friends took my boat to pelican landing from Naples. I had booked the room in advance, but missed the emailed contract. The helpful staff was able to get me set up the day before we left. The last night of my stay, my boat sank in the slip unfortunately. Again the staff was very helpful in assistance, and understanding. It was a terrible day, but without the staff at pelican landing, could've been so much worse. Thank so much! Great time. Clean rooms. Fun place to stay. Good people. Convienent boat slips. they could use another ice machine because everyone loads their coolers everyday. So stay on your ice management and enjoy your stay at the Pelican. We are there every year. Loved loved our stay here! Great location, beautiful spacious place, very clean and comfortable, big functional kitchen with everything needed for cooking. Large balcony with pool and harbor views. Will definitely stay here again. The condo was as nice as the pictures look and I think one review mentioned the master tub draining very still does that. We enjoyed relaxing on the balcony/patio but it would be really nice to have a couple chaise lounges to relax and read a book if desired. Location is good, and would definitely recommend renting bikes to get to Duval Street and The Square easier, especially when it's hot! Had a bit of a wait when wanting to check out, but other than that everything was great! We had a blast! The condo was perfect! great space for a family of five. Had everything we needed. Renting bikes for the week was the best thing we did. Easy to get everywhere with them. Too far to walk and didn't want to deal w/ the car and parking. I am always a bit nervous when reserving something sight unseen for a group of rooms. This property did not disappoint. Our room was the perfect size and was kept in good condition. A few things could be updated, but overall nice and comfortable. Some typical maintenance issues that I pointed out to the manager upon checkout but nothing that would prevent me from staying again. The pool area is great and shaded in the afternoon which allowed for us to take a nice swim in the heated pool. Only .62 miles from Duval Street which is an easy walk. The office can also help with scooter or bike rentals and save you money and time as they deliver them to you and pick up at the condo. Hello Ryan, Glad you enjoyed your stay. Please contact us for your future stay to Key West. Very clean unit and quiet surroundings, we enjoyed the unit very much and what a treat to step out and go right into the clean wonderful pool. Hello Wayne, Glad you enjoyed your stay. Hope to have you and your family stay with us again. Entire family enjoyed the Retreat, large and comfortable. VERY well equipped. Floors however were in need of good mopping. Pool not heated as advertized; disappointing. 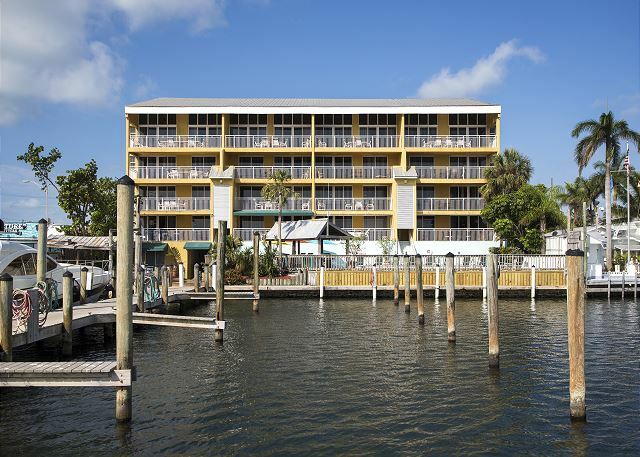 We have been coming here since 1988 and we have always stayed at the Pelican Landing. Love the place and the staff are great. Great place to have a big gathering which we do every year......can't wait until next year...here we come!!!! WE went for Fantasy Fest 2013 and were a late arrival. I forgot the late arrival info. Jamie, the property manager, graciously assisted us. The property was very clean as depicted. The furnishing were in excellent condition. The balcony had a great view and the pool was clean.The location was close to Duval St. You can walk or 7.50 cab ride. We had a party of 3 and everyone loved it. Very good experience. The property is well maintained, clean and wonderful location. The management staff- Jaime- was so wonderful to work with, and very helpful with anything we needed or questions we had of the area. Would definately refer this destination to a friend. The pelican always does a great job. The units are all clean and everything works. My only recommendation would be to add another ice maker in the garage. Five of us stayed at this property recently for a short mid-summer get-a-way. This unit must have been recently updated. Everything was new, fresh, and clean. We were all plesantly surprised with how nice everything was. The oversized balcony with private steps to the pool deck was yet one more unexpected surprise. Tammy in the office was a great help as well. She even ordered bikes and had them delivered to the property for us. This was a great stay. I would highly recommend this unit. We had a wonderful visit and the unit exceeded our expectations. Large, clean, modern, lovely decor and a wonderful balcony/porch that we couldn't stay off of. Only concern was parking being somewhat tight, but we had a large vehicle. Would love to come again. Stefanie S from 45721 Haltern, Germany does not recommend this vacation rental. The property is too far from the old Town. We had a construction right in front of the balcony. But our overall experience was ok, because the property is very clean and nice. Awesome place! Enjoyed our stay and hope to return again soon! nice weekend at Pelican Landing! Came down to key west just for two nights with a group of 6 friends. We loved the property, it was spotless and updated. We really enjoyed the pool and grill area and even stayed in and cooked dinner saturday night in the well appointed kitchen and on the grill. Great view, very helpful staff, safe parking, we will definitely be back sometime! We had two apartment and both where fantastic, close to everything, we when for a wedding and the two apartment where great, can wait to returne. Manager Alexandria was very responsive and helpful during our stay. Looking forward to our stay in 2014. We had a nice condo but the main bathroom was pretty bad. Our toilet would hardly flush and our shower would not drain at all! We ended up sharing the other bathroom with our daughters. The so called 3 day cleaning service, they did nothing except throw new towels on the bed. We had to wear sandals in the apartment because our feet would turn black. It really was a nice property we just had the above issues. Very nice staff during check-in. 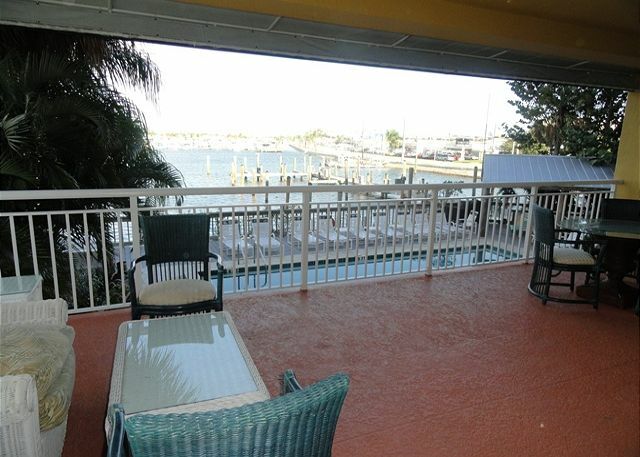 Condo had a nice view, but is not within walking distance to Duval St. Condo was clean and furnishings were suitable. Overall, we had a nice stay. Had a great time with the family and staff was great, look forward to next year! Hello Hubert, Glad you enjoyed your stay, hope to see you and your family again soon. I would come back to Pelican Landing. It was very nice to walk out your door and get into your boat. Our room was clean and we were very happy overall. The only problem was that our tub would not drain properly and the pool was closed. For the price I don't think you can beat it!!! Overall the Harbor Island Retreat at Pelican Landing was Good. However, there are some Maintenance issues that need to be addressed. First, the elevator did not work when trying to check in. Second, the drains in the bathroom were so slow that a shower quickly turned into a bath. Get a plumber and clear the drains. Finally, the Central A/C in the unit is in bad shape. It took about 6 hours to get it to cool the unit down. The owner should replace the A/C unit if they're gonna continue to rent this unit for $250 night. 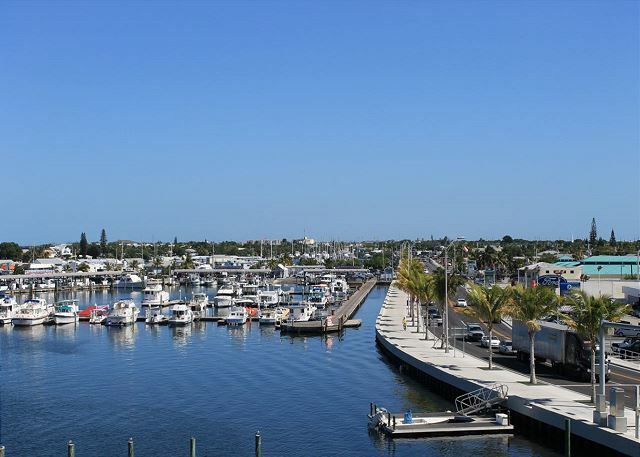 If all of these things are properly addressed, it will be a great place to stay in Key West. Hello, I want to begin by thanking you for your feedback. We have addressed the plumbing issues and are in the process of taking care of the a/c units to make sure they are in proper working conditions. Thank you. This is the best place we've stayed in so far. No complaints and VERY clean. We already have plans to stay there again. 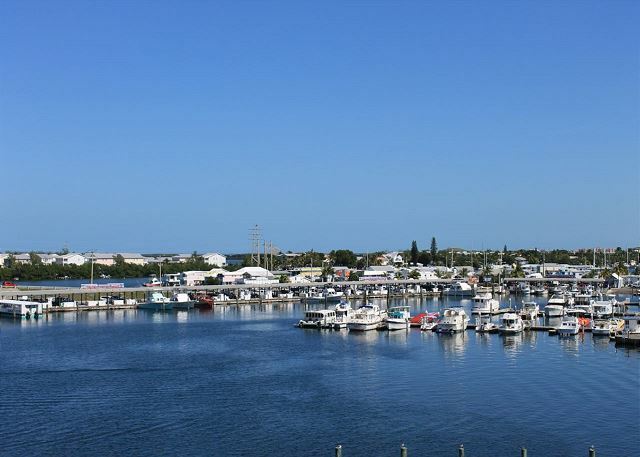 Ran my boat from Vero to Key West, stayed at Pelican Landings, great dockage, very calm harbor area. Unlimited ice from the condo's commercial ice maching, a big plus for boaters/fisherman. We rented the 2/2 condo, big space, recently remodeled, very nice, i would highly recommend this property. The property is about a mile from Duvual. very nice stay. wonderful location. walls a little thin as well as the floors. you could hear chairs and furniture moving upstairs the whole time. thank you for everything. It was phenomenal. Key west is the greatest place ever. Be sure to check out southernmost point, Ricks happy hour, and fat Tuesday's. It's farther than I thought it would be from Duval Street. Wonderful stay, Clean and nicely furnished. Away from the action but close enough to get there with a little walking. Need some Coffee cups. Had everything you can asked for, and feels like home! We were pleasantly surprised with our unit,all of the interior was redone and had new furnishings. The beds & linens were very nice quality, and kitchen was fully stocked. Had ordered in dinner one night and enjoyed our dinning room instead of waiting in line at some restaurant. We had a nice view of the marina, we sat outside on our huge balcony as much as possible. You do get a little bit of traffic noise if you left the balcony door opened, but closed we sleep like a baby. Had problem with the bathtube draining in one bath, and our washing machine wasn't draining, they send someone quickly. The staff was very professional & friendly, the building was very secure. Our family had a great time in Key West and we would rent at this location again! 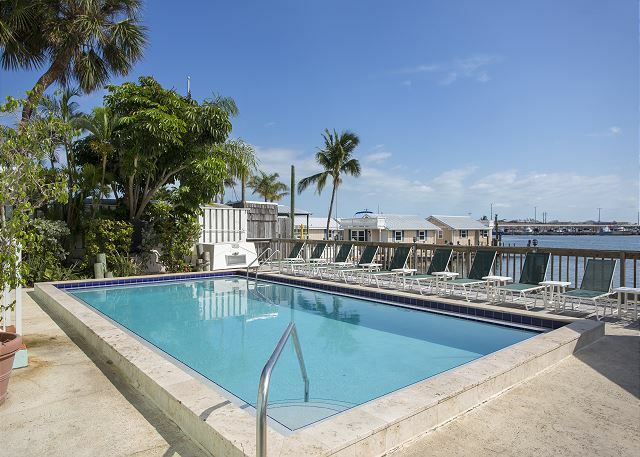 This is a great plave to stay in Key West. 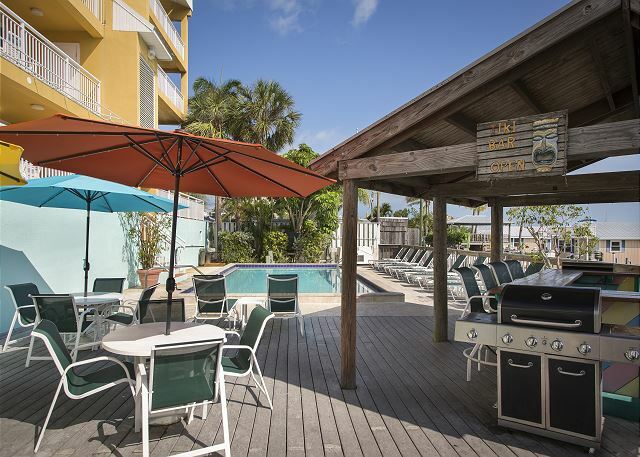 The condo is only about a mile from Duval, on the water and nearby to shopping. We had a wonderful time and the unit we stayed in was perfect! It had recently been updated and was clean, open and had a great view.